Peak b, the campaigning organisation for small business, have released a new report into the impact of small businesses on their communities. 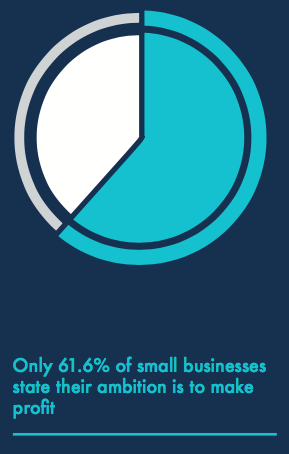 The Small Business Community Impact report is the culmination of four months of research, interviews and online surveys with thousands small businesses and the findings offer hugely positive opportunities for small business, communities, government and the wider economy. Sponsored by Indeed and TSB, the report highlights that many small businesses are about far more than profit. What is clear is that small businesses are creating enormous value in bringing communities together, providing opportunities for those furthest from the job market (e.g. disabled, those with mental health challenges, the young, long term unemployed, ex offenders, refugees) and reducing reliance on welfare and other local and central government services. Collectively these small acts add up to huge economic benefit to the UK as a whole. In a trend that shows the people-first approach of the sector, 78% of small businesses say they create training opportunities for their staff, with 28% offering this for the wider community as well. Furthermore, 70% of small businesses offer flexible working opportunities.